So many people ask me, "how can you fit in science into a very busy school day?" Well...I am here to share with you some simple ways to sneak in 20-30 minutes of science and have big impact to boot! This is my first Simple Science Saturday Series! I am very excited to be sharing with you a quick video to show you how to add science into your school day in a simple way. All you will need is the free sheet, baggies filled with a kleenex, a cube, a feather, a spoon (metal works best), a toy car, and a straw. 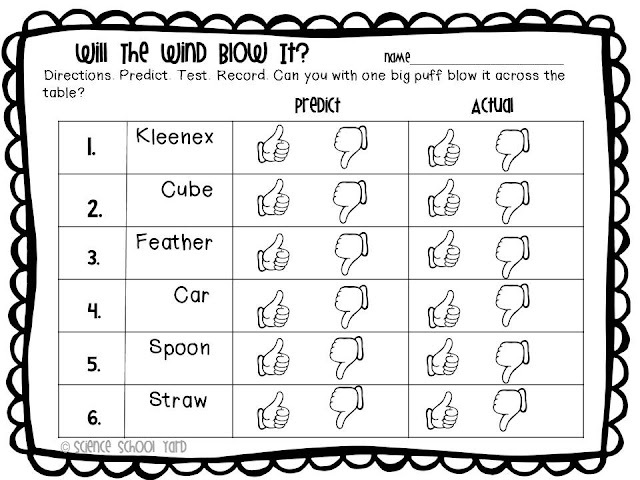 I start with asking my students, "What can the wind blow?" 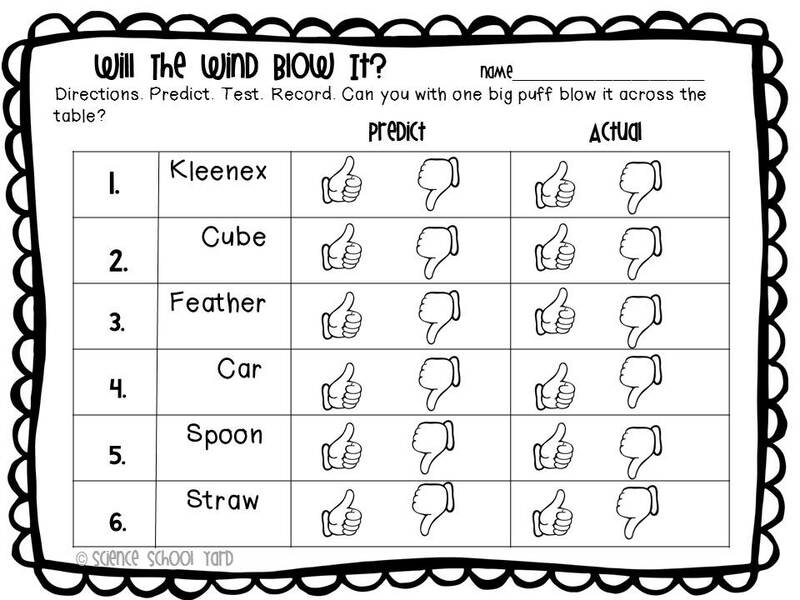 We add it to the wind anchor chart. I always share my story of how when I was five my grandma and I were walking and her wig blew off. I had to chase it like tumbleweed down the road. STEM extensions based on the book! 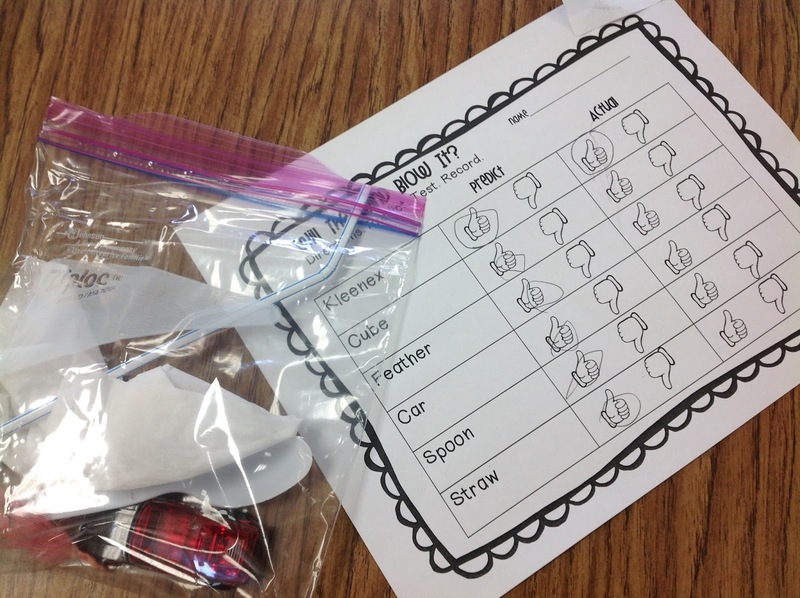 We then review what a prediction is. We sing the prediction song and then I tell that that this book is going to let them do a lot of predicting. They should look for clues on each page. They do a great job predicting. When we are finished I let them know we will predict once again when we do our experiment. 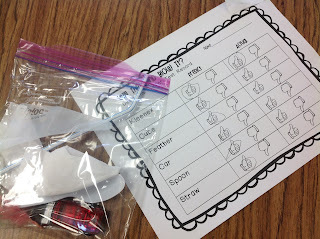 I always number the kiddos because it shows them how to take turns and that there is a process to an experiment! It keeps things orderly as well! 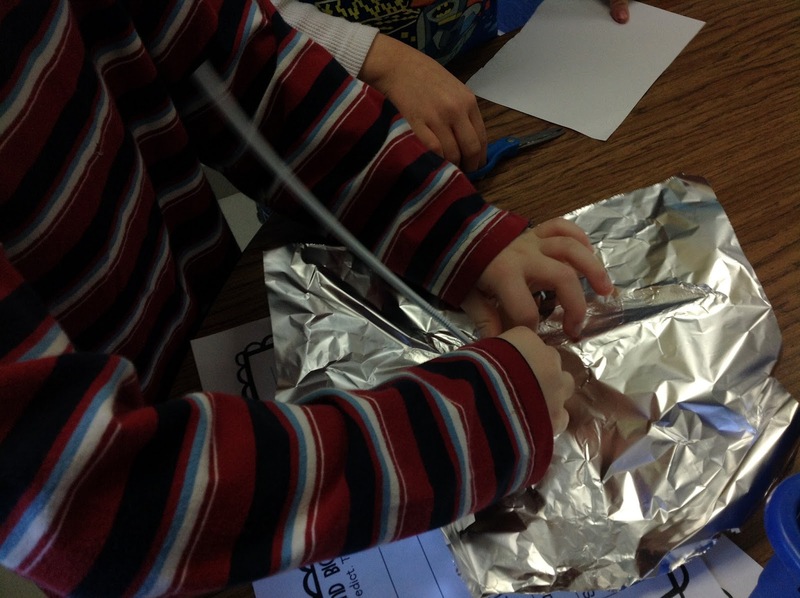 After predicting and recording...experimenting...then recording again we complete the task. We then share using a box fan and a long under the bed bucket with water in it. The kids love to see if their boats will float or sink...get across the water or get stopped up. If you have more time you can create a bar graph with the results to add some math to the lesson as well!